In your city, how do individual communities demonstrate their presence through the buildings designed to serve that group’s social and cultural needs and endeavors? A term as ancient as Civilization itself, Community is said to have formed whenever people came together due to common interests, sharing common ideals, and to seek within this shared space, representation for the self. The basic need for a community arises out of the tendency of people to define the social ties formed as a result of a community, as important to their identity, practice, and roles in social institutions. Yet it must be recognized that the term community itself can also be hegemonic as it may define who is included and who is excluded from the group. The same attributes that bind communities together, like national origin, race or language, can and have at times been used by a dominant community against a dominated community. In such cases, spatial segregation and community tensions result. Market places were once the hub of social interactions between all classes of the society. In this essay, we talk of public spaces, in particular market places and how they have transformed to serve a particular community. 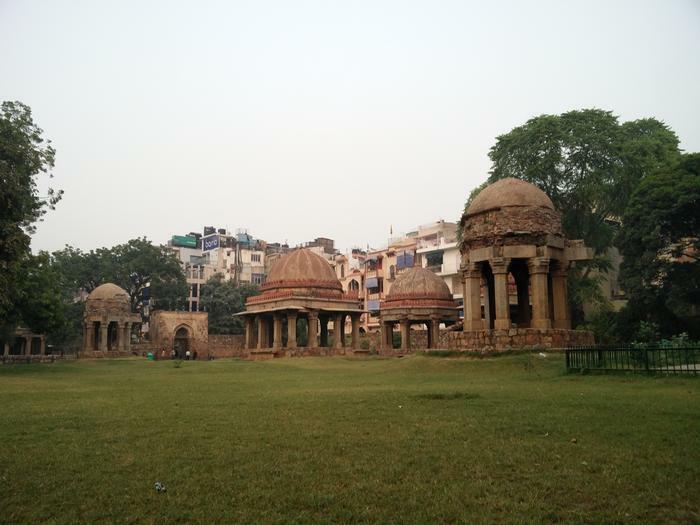 We explore this topic through the example of Hauz Khas Village, Delhi. Situated in the heart of Southern Delhi, and one of the most visited Urban Villages in the city, Hauz Khas Village was not always what it is now. A rural settlement around the water tank – the ‘Hauz-i-Khas’ ; dwellers would tend to livestock, and grow produce; interacting with each other through the interdependences formed in the community. It was only after the intervention of a famous Indian clothing designer in the 1980s, that this 12th century village saw a new phase. By opening her showroom here, and paving the path for other investors, designers, and artists, Bina Ramani had initiated the process that would change Hauz Khas Village for decades to come – to an extent that the only thing that is a village, is in the name. Today, Hauz Khas Village stands for more than just designer showrooms. It is a hub for artistic, and gastronomic indulgence amongst other things. SoHo-esque, in essence, the market attracts tourists, and residents from the city, with people flooding it by night. Only, as one can clearly observe, the urban village appeals to only the high earning classes, the clear cut division forming due to a lot many factors inlaid in the basic foundation of its initiation. 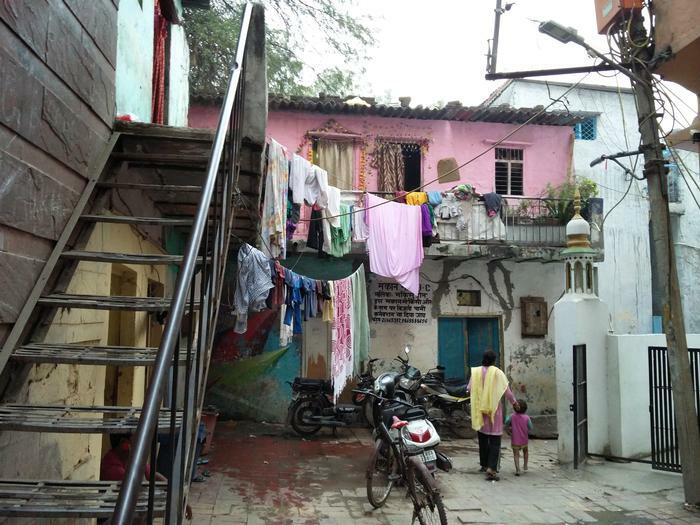 It not only creates psychological barriers for the other communities in the city, but also manages to alienate the preexisting community – the villagers, who find no sense, or purpose in associating themselves with the ‘chic, and happening’ market. Communities develop architecture to support their lifestyle, follow traditions, and represent themselves. Through the means of this essay, we talk of three buildings in the location of Hauz Khas Village; The Hauz Khas Fort – The Main Complex around which this village came to be, Imperfecto – A Café, and a rural residence; bringing focus to each, and how their architecture represents the communities. We then taking ‘Imperfecto’ highlight how the high earning, and gentrifying community has developed its architecture to appeal to itself, demonstrate its presence, and form an imposing presence over the village community.